This article was first published on App Radar blog. What is App Store Optimization for Games? ASO for games is not very different from regular App Store Optimization. However, ASO for games is considered to be one of the most challenging tasks since there are so many new games coming up everyday taking the competition to a whole new level. Also, since the latest update in iOS, games are no longer considered apps. The iOS 11 has a new menu structure. The tabs “Categories”, “Featured” and “Top Charts” are now replaced by “Today”, “Games” and “Apps”. This independent “Games” tab, separates games from apps. Similarly, in Play Store, the menu reads “Games and Apps” separating games from other categories of apps. This poses another challenge for game developers. How to make their game stand out in the crowd? Let’s find out in this article. App Store Optimization is a process of optimizing a mobile app’s visibility by improving it’s ranking in any app store. The higher your app ranks for relevant searches, the more traction it gets. Just like Search Engine Optimization (SEO) is for websites, ASO is essential for mobile apps. According to Forrester, 63% of apps are discovered through app store searches. If you look at the image below, it is clear that app store search is the most prefered method of finding new apps. Hence, if your game is not optimized for ASO, you are missing out on the largest app discovery channel. With millions of games in each app store competing to rank above one another, most of the publishers are not investing in App Store Optimization. Nevertheless, ASO can be your key to success. Now whenever someone mentions the word App Store Optimization, the first thing to pop up in our minds is keywords. The more keywords in your app’s title and description, the higher it’s ranking. However, ASO is much more than just stuffing keywords. It is about user experience on the whole. It’s affected by app icon, ratings & reviews and localization to name a few. We’ll be discussing these in detail in the next section. See all app store optimization companies to find the best fit for your business. Major app stores such as Google Play Store, Apple App Store, Amazon App Store or Windows Store, use complex mathematical algorithms in order to sort search results based on the relevance of search query and user. Although the exact ranking algorithms are not public, some known factors influence the search result ranking in app stores. The ranking of apps is affected by numerous factors as well as by the user search query and used keywords in the app page metadata. Some of the factors determining app’s ranking are displayed in the following. Let’s dig a bit deeper and have a look on which app page elements you should update for optimizing your mobile game for being found by potential users. Relevant to both App Store as well as Play Store, the app name is one of the most important ranking factors. If your app name clearly signifies what your app does or what is the basic idea behind it, the app will appear higher in the search results due to increased visibility resulting in more downloads. On iOS 11, you can have 30 characters for your title, while Google Play gives you 50 now. Make sure to put relevant keywords into your mobile app’s name, whether it’s Google Play or iTunes Connect. However, it’s not encouraged to have random keyword stuffing in the app name field. The app name must make sense. Here is a great examples of an optimized game name. Especially in Google Play Store, this is the field to check for relevant keywords. How well your keywords match with what people are searching for? To an extent this is more about discovery than ranking but if you pick popular keywords, you’ll have more competition and struggle to rank well. Use App Radar’s Keyword Suggestions to identify popular keyword combinations that others might have missed. In the below example on writing “brain game”, we got the following autocomplete suggestions, also your users in the U.S. might see on their iPhones. The Number of downloads is the main component of ranking good in any app store. When competing with big names, it’s difficult to reach their level of downloads. But this should not hinder your mobile game from getting featured. Initial boost can be acquired via PR followed by constant ASO. You can do some PR activities that will boost your downloads quickly and this download spike will get you high rankings for a short period of time and then regularly optimize metadata and assets to keep your downloads on at least a constant level. This one is obvious. For both stores, having good ratings and reviews has a positive impact on the search result of your app. For Google Play it’s even more important than in the iOS App Store, as Google scans for keywords even in the review comments. Hence, the more descriptive comments you have the better your position. App Store gives another benefit. If your game doesn’t have good reviews and you think you can improve that by fixing certain bugs or rolling out new updates, then you can reset your reviews by releasing the new version and start from zero. This might be beneficial in the initial stages of your mobile game’s release. However, as soon as you have a number of initial good reviews, you should make sure to keep the reviews since the average star rating is only shown for apps with a high number of ratings. 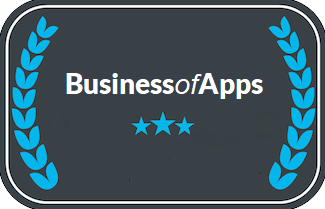 Frequently updated apps have more and better reviews which in turn provide better ranking. Updating not only has a positive impact on ranking factors but also gives room for fixing bugs and staying at the top. Especially in the App Store, when your existing user base updates your app, it gives you a short term uplift in the rankings. So updating more often can be really beneficial. Before concluding your game’s title, you must understand it’s significance in both the stores, the restrictions as well as the impact. For the App Store, an app name is the most important field coming together with a separate subtitle field. An app’s title is not only crucial for indexing your app in Apple App Store and Google Play Store but is the first source of information for the potential user. Since the app description is not shown above the fold in any store, the app name should already give visitors an idea of what your game is about. Not many visitors spend long time on app store pages informing themselves about the offered products. Hence, app’s usability and relevance is mainly judged only from it’s title, app icon and screenshots. You are provided only few characters to describe your game. So the words included in the title needs to be super relevant and very impactful. Another point to consider is that the App Store provides a keyword field where you can put in the keywords relevant to your game. Now to use this strategically, you must not repeat the keywords you have already put in the title field. Instead target new keywords to get the maximum results. Talking about Play Store, Google analyses your overall app page to find keywords that you should rank for. But the top most keywords found in the title, are considered most important. The title of your game should be unique, descriptive and clear. It shouldn’t be copied or influenced by competitors but have it’s own brand value. In some aspects the app discovery algorithm is still very primitive and dependents on keywords found in the app title, description, subtitle and keyword field (Apple App Store exclusive) hence keywords for your game need to be on point and very specific. But how to start with keyword research? Researching keywords with the help of an app store keyword research tool or the Google Adwords Keyword Planner is just the first step. You need to spy on your competitors, look through the reviews and use App store’s auto complete feature to find the keywords that aren’t popular but relevant. Games have it a bit tougher when it comes to keyword-based ASO. You can include your game genre and other descriptors (e.g., “alien shooter”), but games tend to be found through app store Top Charts or brand names. Still, it is crucial to look for popular keywords and optimize search rankings by using ASO tools (e.g. App Radar). Tip: The more you care for your app (regularly adapt it to seasonal events, trends and optimize it for your target audience), the higher your chance is to be featured in the App Store. Since we are talking about games here, latest trends are very crucial in order to appear on top. Apple search engine Chomp released data that said 83% of app searchers are looking for function rather than name. If you look at the top keywords for both Google Play and Apple App Store, you’ll find keywords such as zombies, castles and seasonal words such as Christmas, Halloween. These keywords are all trend words and not any feature related keywords. As a game developer/marketer, it is hence necessary to identify what all latest trends your game is offering and add those related keywords in the app title and description. For example, Granny Subway Run is not a Christmas game. However, by adding the Christmas theme and including the right keywords they are able to appear in the “Christmas games” search results. This shows that one must take up the opportunity wherever available to get the most out of our app. Google Play visitors are 40 % more likely to show decisive behavior. This means Android users tend to decide more quickly on downloading an app compared to iOS users. But why is it like that? This effect comes down to different layouts. Google Play Store app pages show a very prominent Feature Graphic on the top while as the screenshots are only visible beneath the fold. The screenshot gallery in the Apple App Store is a more outstanding element than in Android store listings. This leads to iOS users being more likely to interact with your image gallery. What should you consider now? As Android users are less likely to interact with your screenshots, you should make sure, that your feature graphic and the first two screenshots are as convincing as possible. The screenshots are not only for the aesthetic appeal of the game but for explaining how it looks and what all features the user is going to get. Cooking Fever does this very effectively as it explains that the game is a time management challenge and also highlights the main feature of having lot of cuisines. Don’t just put in random images. Rather try and convey a story with the help of your screenshots. Below is an example of a very average game based on the popular TV series, Game of Thrones. If you look at their screenshots, instead of explaining much features they have tried and explain the story. Now for someone who follows the TV series, these screenshots from the game can be really compelling and even for new audience, these screenshots can make people want to download the game and figure out what it’s about. Be as artistic as possible because after all it’s a game and needs to look convincing enough to attract an audience. A game that appears to have an amazing game play is bound to attract more visitors. This kind of screenshots includes artistic images and illustrations (not really app screenshots). Often used for games, they give users insights into the game story or show the main character. The screenshots of Angry Birds for example, include extensive graphics but also show possible game scenarios. The first and foremost important step is analyzing your competitor and seeing what they are doing correctly. Analyse their description and title for most relevant and important keywords. Let’s take an example. Games like Ultimate Soccer- Football are able to come up high in the search results even though the competitors are FIFA and other giants. Even though the top three results are Editor’s choice and have been added manually on top by Google Play but Ultimate Soccer is managing to come up along with these giants because of strategic ASO. This is because on searching “Football games” FIFA doesn’t have the keyword football in their title whereas Ultimate Soccer- Football does. This gives it an opportunity to come up higher. Now the key here is to find the right balance. While your competitors may be big industry names and competing for the keywords that hey are ranking for can be a daunting task. Hence, you need to find the most rankable keywords. Long tail keywords are the key here. While short tail words like “zombie games” and “strategy games” will have lots of competition. A long tail keyword will provide room for ranking higher. The whole idea of ASO is about making your app (in this case Game) more findable and searchable. Initially when a game is created, the language by default is English. However, not even half of the world’s population speaks English. Isn’t it the right idea to make your game available in other languages too in order to reach a wider audience base? It is important to watch out when localizing an app. It is not only about translating, but communicating with people. When changing the language, you are also talking to another audience who will be reacting to your game or app. So more important than translating, it is crucial to adapt the text for people who speak the target language. Be careful with automatic translators. Another important point is to put the screenshots in the correct language. As complicated as it sounds, it’s pretty easy to do localization. App Radar ASO Tool allows keyword tracking in multiple languages and localized countries. International keyword localization is offered for both, Apple App Store and Google Play Store. You can do a direct translation of the name and description, but should keep in mind that it may not improve conversion in the foreign territory. As direct translations are mostly inaccurate in expressing the real feeling of the sentence. When it comes to localizing the app title, you need to be careful and make sure to use important keywords that express the app’s core features toward the beginning of their title tags. The process of localizing an app listing for another country looks a lot like your ASO process in English. How are users looking for your app or apps with similar or related features? What keywords and phrases do Apple and Google see as relevant? What are your app’s most important or distinguishing features? What words and phrases work together to provide the largest, relevant app store search coverage? So we discussed that it’s not good enough to use Direct Translations of your game’s descriptions and titles. So what to do in this case? The Translator Interface is a special feature of App Radar, allowing you to request translations for your app store listing directly within App Radar. Just enter the email address of your translation agency and they will receive an email with your instructions and can directly access the translator interface of App Radar Publisher. Translators must only fill in the available fields with the desired copy in the language, you have requested. When the translation is finished, they send you a request for approval, so you can review the translation before publishing it to the App Store or Google Play Store. After so much discussion on all the best practices for ASO of games it is important to look for tools as being a game developer/marketer, you cannot find time to do everything manually. In the marketing world one should rely on automation wherever possible and an ASO tool can come in very handy in this case. Multiple location support: App Radar helps you in keeping an overview of all your localizations. Add copy and translate them with ease to make your game available in every language without much hassle. One interface for both stores: App Radar has combined iTunes Connect and the Google Developer Console for centralized game management. Previous version comparison: App Radar even let’s you compare the metrics of your previous game version so that you can check what is working and what is not. Translation services: Send a request to your translators, so that they can fill in all relevant app store metadata directly within App Radar for you. Then confirm and use it with just one click. Slack and inbox integration: With App Radar you will never miss any change in your game’s ranking as it sends automatic daily report to your inbox and Slack channels. To sum it up, App Store Optimization for games isn’t very different from regular ASO however it requires a little extra effort and eye for detail. With so many latest trends coming up every day it is a good idea to get some extra help from tools like App Radar. Are you interested? Find out more about App Radar and start your free trial with just a few clicks!